I highly recommend cutting all of your panel boards first and taking a measurement, and then cutting the panel trim boards to fit that measurement. 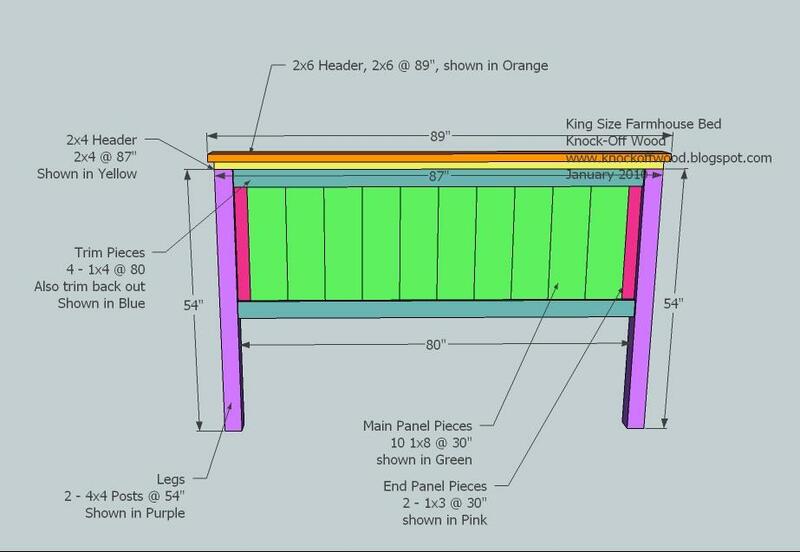 Because the instructions to build this bed are essentially the same as the plans for the Queen sized (including the bed frame), I will just be providing diagrams on how to build the Heaboard and Footboard in the king size. 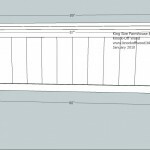 Please review the plans for the Queen Sized Farmhouse Bed plans before begining this project. 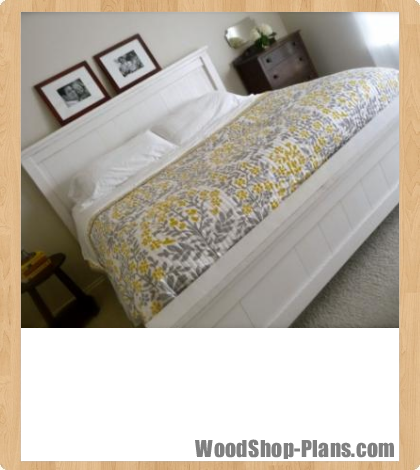 The length of this bed is identical (80″) to a queen size. 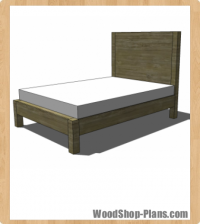 If you do not have a box spring, you can use slats. 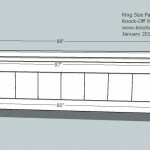 The slats will be 80″ long, I would space them closer or use bigger boards, like 2x4s. 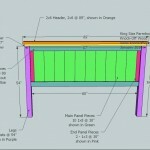 Please also take note that King beds vary in size depending on where you live. 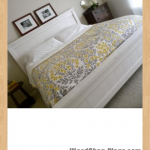 You should always measure your mattress first and make sure that it fits the bed. 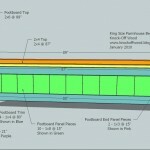 There are also California King bed plans available. 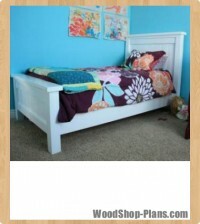 The measurements given are recommended for a bed 80″ wide. If your bed is narrower, simply trim off from the panel and panel trim boards, or substitute 1x6s for the end boards in the panel. 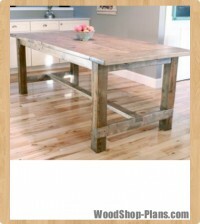 Also note that when you build with standard dimensional lumber, widths can vary greatly depending on where your lumber was milled. 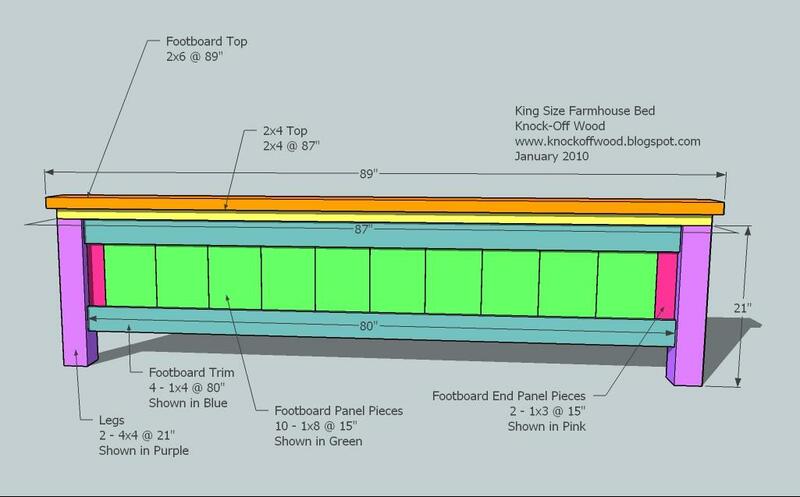 Always measure the width of your boards first. 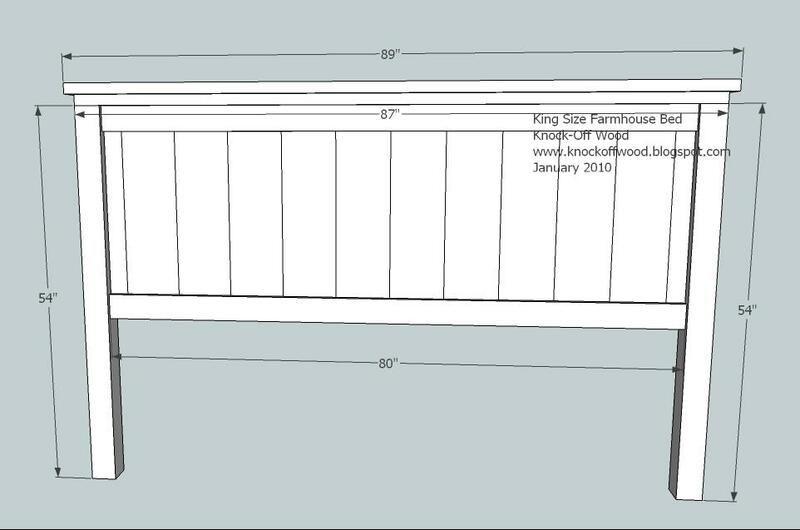 This plan assumes that your 1x8s are 7 1/2″ wide – the widest possible measurement. Check yours, adjust accordingly. When assembling your bed, you may have two seperate boxsprings. What I did was build a “floor” out of 2x4s for a frame (see queen bed) and then put plywood on top, followed by the mattress. We have never had a support issue. 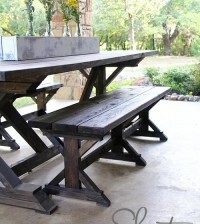 If you feel you need to have extra support you can simply add a fifth “leg” in the center of the bed from scrap 4x4s. This will beef up the support considerably.